The changing face of organisations is something I fangirl over. The way some people do over Netflix or sport, I do over the #futureofwork. I am obsessed with understanding and integrating these concepts into current cultures and love seeing the impacts to the workplace as a result. These three elements for me, epitomise what Future Work is and businesses need to take note (if they haven’t already) as a way to retain talent, create meaningful working environments and stay relevant to the current business landscape. And guess what? This isn’t the future at all. This is happening right now. I am personally loving what I’m noticing happening in the workplace. One of the major things I am loving is the integration of life, work and education into something that happens simultaneously. 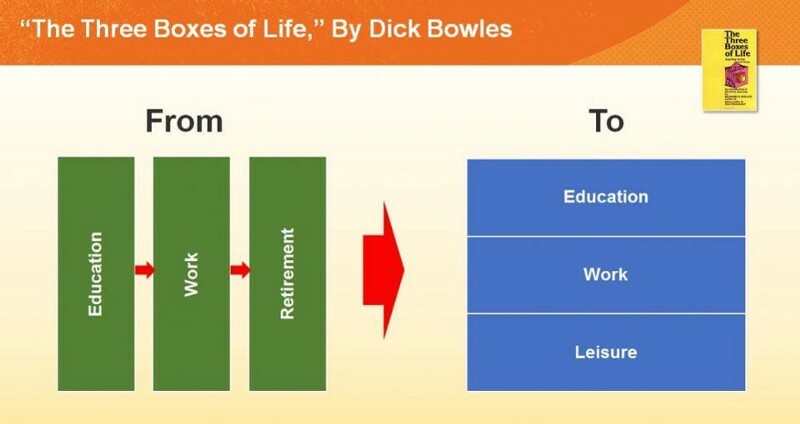 Organisations are definitely moving away from the traditional format of education — career — retirement and instead, people are attracted to and creating these situations that actually integrate the best of all these factors, killing terms like work life balance and just redefining them to be “balance”. People bring their kids to work, work from home, exercise at lunch time and even educate themselves whilst still working full time. I was blown away at the idea that it was even a consideration! And I have never felt that my life and work needed to be separate things since. I have read a lot about organisational structures becoming more flat line in nature. I’ve discovered, if you have smaller sized teams, link these teams together, and build an organisational culture that keeps people aligned as well as letting people innovate, deliver, and serve customers on the front line, that this creates better outcomes in the business world today. Act with too many processes and you can miss opportunities. As a result, leadership has had to fundamentally change too. The best leaders are the ones who can facilitate these small teams to have the know-how, accountability and space to make the decisions for the business and the way they service their customer. Brian Solis explains in his post why digital culture is critical for an organisation to create purposeful working environments for their people. This includes programs that encourage and empower people to collaborate, work with external partnerships (no more red tape), have data-driven decision making, agility and flexibility. I read his article recently and love how he put these terms (and more) together. It has allowed me to rethink the value I can provide clients and stakeholders in the next 3 months. Job Roles Disappearing — and new ones appearing! Oxford University wrote a report that 47% of jobs will “disappear” in the next 20 years. Well, cheers to that! This is such a common misconception out there right now. In the work that I do, big buzz words at the moment are “automation and “outsourcing.” I often get objections like “Offshoring takes local work away”, or “We are competing with AI for what were our jobs” and I’m still floored at the genuine beliefs around it. There was once a time where computers didn’t exist and the many things a computer does now, was done by a human. However, new jobs for people replaced that. Social Media Manager was never a job position 15 years ago was it? The truth is, talent want more complex and challenging work and the likes of digital and technological innovations are leveraged to allow us to create these roles for ourselves. Same with business process outsourcing and automation; it gives way for the high value activities that people want to be doing but complain they don’t have time for. The key difference is rather than just looking to local talent, we are now competing on a global scale. So either you’re excited about the opportunities you now have access to, or you get lost and left behind. Certain human skills will never be replaced by robotics or automation. Skills like oral comprehension, critical thinking and coordination. There will always been a need for people to be working. 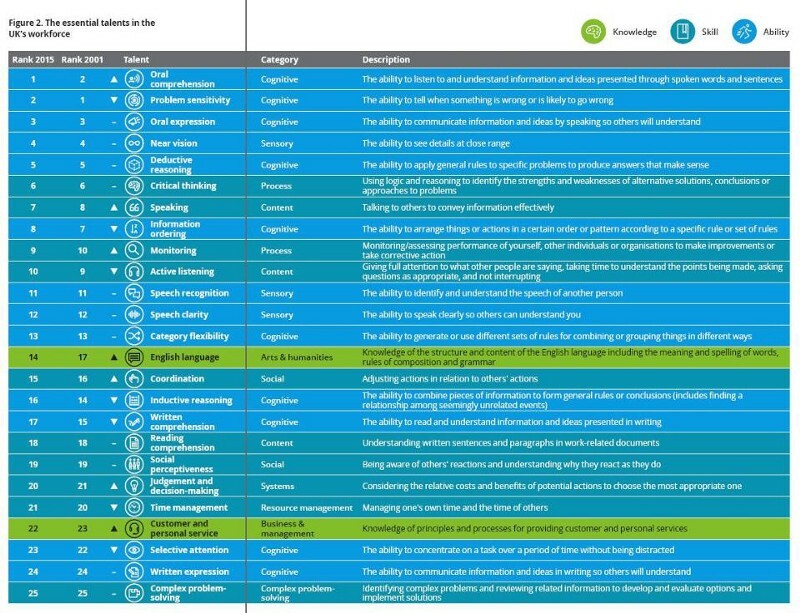 A Deloitte study ranked the most important human skills that are being sought after in the marketplace and this will not change in the future. How does one stay relevant with this way “futurework” working? Learn more tools. New systems and technologies are being created every day. Nobody can be an expert at all of them! So pick tools that you can leverage in your business and learn to navigate through them in a practical way. There are also a lot of online and progressive courses available — whether it’s a postgraduate qualification or a quick e-course to follow on YouTube. Find the right ones for you based on the investment of time, finances and effort. Always have a thirst for learning more! Adapt to virtual working. If you still work in an office Monday-Friday, 9–5, you are in for a rude awakening. People work off their phones, laptops in transit, at home and from multiple office sites. Everyone should work this way. Workplaces need to be set up to allow for this as it is a great way to engage people. Productivity levels improve when you change their environment. Throw into the mix the ability to work with people from different countries and cultures, and a whole level of diversity, communication and overall enriching experiences happen and that is not a bad thing for business! Recreate yourself Don’t pigeonhole yourself to just one type of role. In my career so far, I have been a trainer, a project manager, an operations manager and a consultant. I have worked in the financial, retail, travel and offshoring industries. There are jobs being created in five years that we didn’t know were possible. So get clear on what you are passionate about, fine tune your mastery and see what happens. Strategic Networking. As I stated earlier, we can’t be masters of everything. Start to network with people who are experts in areas that you can learn from, partner with and collaborate with to fast track your development and innovations. This has for me, been one of my best and most valuable learnings — the knowledge of my network. Create and foster a living online. By 2020 (less than 2 years from now) 50% of people will have a side hustle. World Economic Forum states that so it must be true! But seriously, not even corporate jobs are permanent anymore. There are more restructures and redundancies happening, just to keep up with the changing business landscape. So if you don’t future proof yourself from what you do now, that’s just ignorant. AND right now, it’s one of the easiest transitions and investments to make, which is why those who have done it in the last 12–18 months, are killing it. Please share with your network if you found this article helpful. And if you have never ventured into the “Future of Work”, there’s no reason you can’t start today. I would love to hear from you if you would like to discuss your current circumstances and how I can help you create a new business opportunity, diversify your work or become more Future of Work ready. Or better yet, watch a video that explains how you can start making money online with an automated system.